The Oraimo Necklace Bluetooth headphones are available for a price of Rs 2,799. Oraimo, a smart accessory brand from TRANSSION Holdings, has launched Necklace OEB-E54D earphones. The earphones claim to be ergonomically designed with a flexible necklace design. The neckband earphones are embedded with magnetic buds that promise to deliver HD voice quality and clear sound for bass mid and highs. 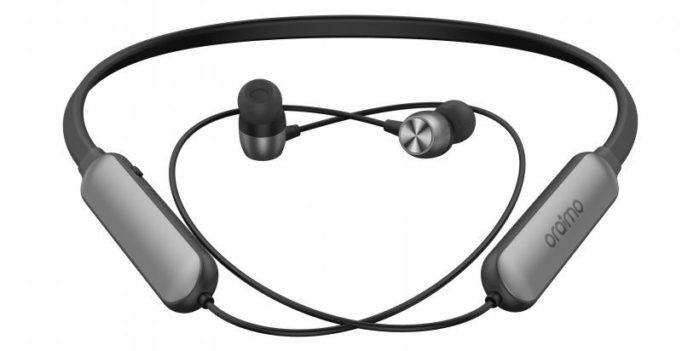 On the connectivity front, the earphones are equipped with Bluetooth version v4.1 and can connect easily with any smart device. A 200mAh built-in battery enables users to play music up to 8 hours continuously. Additionally, the earphone can be left on standby for around 200 hours and offers a talk range of up to 10 metres. The design is claimed to prevent fatigue in your ear, which can be good for those who like to have a long conversation at a stretch. Exclusive: Nawazuddin to reject Salman's Tiger Zinda Hai?